We are a leading Exporter of wheel chair and motorized wheel chair from Ahmedabad, India. Weight Capacity 351-450 Lbs, 251-350 Lbs, Upto 250 Lbs, 451-550 Lbs, 551-650 Lbs, 451 to 650 Lbs. 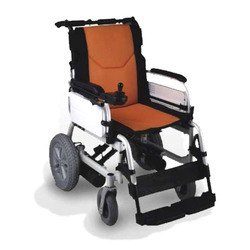 We are the leading and prominent Manufacturer, Exporter and Trader of Wheel Chair.